What is a “global nomad?” If you mistakenly thought the New York Times was publishing an article about Tuareg rock superstars Tinariwen, you would be wrong. Or maybe they are writing about Roma people coming to the United States? No, not that either. The photo at the top of the article should have given me a clue that I wasn’t going to like the contents. Two young, attractive, wealthy white people lounge by a beach house, one on her Macbook, the other in a hammock on his iPhone. Is it an Apple commercial, I thought? As disappointing as it would be to see an Apple commercial passed off as news in the Times, the reality is sadly much, much worse. Personally, I am ashamed to live in a world where the 1% go through special lines in airports all over the world, visa free, never stopped by border patrol, the top worry of their minds whether or not their Macbook gets stolen. Want to earn a US salary but only pay the cost of living in Thailand? No problem! You have a US passport! Do most “global nomads” notice the long lines of the global 29% at the airport, waiting nervously to see if their visa will be accepted? Do the “global nomads” even know about the 89% of migrants who don’t travel by plane, who have never had a visa anywhere, who get from A to B on rickety boats, or trucks driving at night, who get into a shipping container not certain if they’re going to ever come out again? Do global nomads realize their passport, that little blue or red book, is more powerful, more expensive and more controversial than Elon Musk’s SpaceX rocket? When I was a young, entitled, western college student, we would inflict ourselves on poor cities for a limited period of time, usually in Asia or Eastern Europe, for a period of a few months to a year, before returning home to become productive members of society. Thanks to computers, the 1% doesn’t need to be at home to be productive anymore. Many of them can do their jobs anywhere. And so the “Global Nomad” movement was born. I’d love to show that sentence to a Thai person applying for a visa to visit family in the US. Or show that sentence to a Zimbabwean. 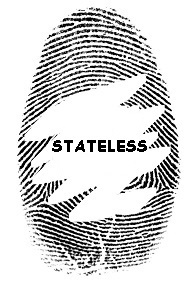 Or what about a stateless person, with no passport from any country? Ha ha ha ha ha!!!! So funny. That person is just laughing and laughing. Ha ha ha ha ha ha ha! I’ll just show it to the Estonian women riding in the back of a chicken truck, on their way to Germany, they hope and pray. Or one of the Syrian moms struggling to carry her toddler across Turkey. Or to one of the young Somali men being sold in the market in Libya. They will find that quote very, very funny, I assure you. Oh Haid, capital always follows the path of least resistance, but most people cannot, due to a little something called “border patrol”. For the 1%, international travel is an unimpeachable right, so fundamental that it is never mentioned, completely taken for granted in every way. The Times article is clearly designed for NY Times readers, to help them decide whether or not they might like to try being a “global nomad.” But there should be a huge, red, disclaimer across the top: Just make sure to be born with the right passport.